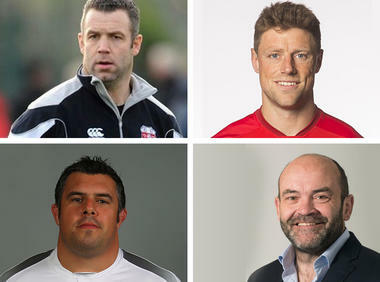 Enjoy an interactive Q&A with sporting heroes as well as informal networking, nibbles and drinks. Rhys Pristland– Rhys is an International Welsh rugby player who’s also played for the Scarletts and Bath. He made his international debut for Ireland against New Zealand at Lansdowne Road on November 1997 and played at the 1999 and 2003 Rugby World Cup. Kevin Maggs– Former Irish rugby union centre, Kevin has also played for Bristol, Bath, Ulster and Rotherham Titans. He burst onto the international scene in the 2011 Rugby World Cup in New Zealand, where he steered Wales to their first semi-final since 1987. Duncan Bell– In 2003, Bell moved to Bath and later played in the final of the 2007-08 European Challenge Cup, as Bath defeated the Worcester Warriors. Bell made his England debut against Italy in 2005 as well as in the following fixture against Scotland. Jon Hall – played for Bath Rugby, Barbarians and England. After starting his international career against Scotland, Jon’s final match was also against Scotland in 1994, where he made a crucial tackle which ultimately won England the match.